An app created by Next lets the developer shoot animations, then tap an onscreen button to push them to the popular Unity game engine running on a nearby computer, The Verge said. Assuming a character model is otherwise ready to go, that allows new facial animations to be recorded on the fly. The results aren't perfectly smooth at present, but are much less costly to achieve than when using a dedicated capture studio. The Next Games tool was created in just a few weeks. In addition to animating the main cast of the game, the technology will also come into the hands of players, letting them animate zombies that can shared with fellow gamers. "Our World" is due on Apple devices in the second quarter of 2018. 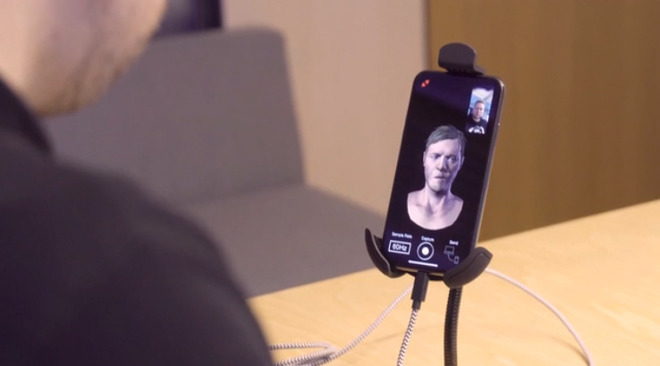 The TrueDepth camera mainly supports the iPhone X's Face ID and animoji, but an Apple facial capture API has allowed third-party developers to expand its use.